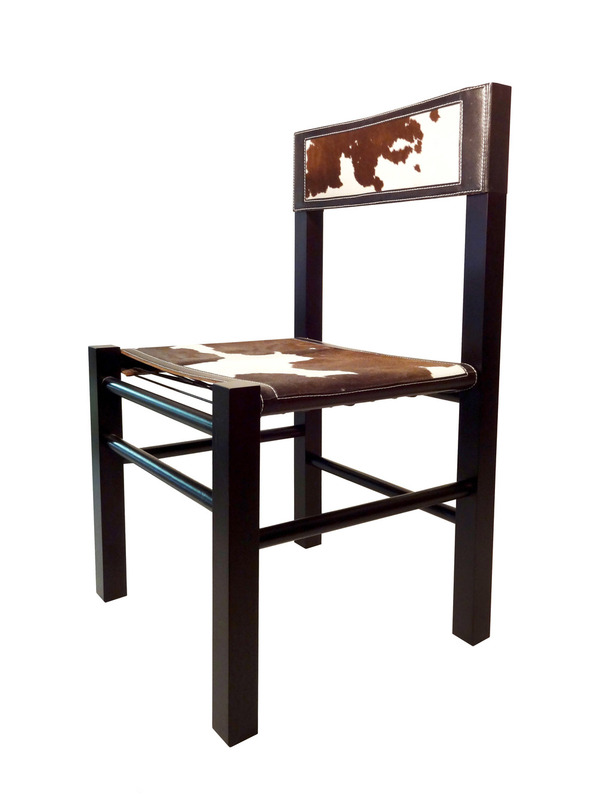 Calf Fur Side Chair, Stained Maple: Dark Stained Maple Frame with Fur Calf Seat and Back, detailed with goatskin leather, saddle stitched, corded leather laced seat attachment. Condition consistent with age and wear of the piece. Sold as is. Condition- Good, with minor surface damage and scratches. Complete form below for additional photographs of items condition.